This was one of my favourite locations in steam days. The route from Hunjiang to Tonghua is generally downhill but there is a short, sharp climb around a bluff between Daoqing and Guyuan. 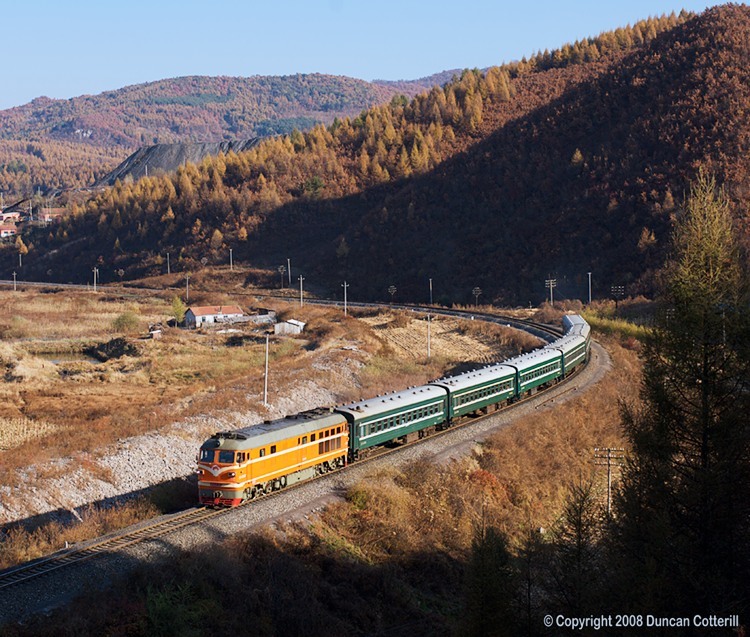 DF4 2163 attacked the grade with train 6350, the 12:20 Linjiang - Tonghua, on 7 October 2008.